The Best Replacement Windows in the U.S. Renewal by Andersen® is the nation’s leading producer of quality replacement windows and doors. Their continued innovation in material strength and energy efficiency is unparalleled, as is their commitment to improving homes throughout the country. 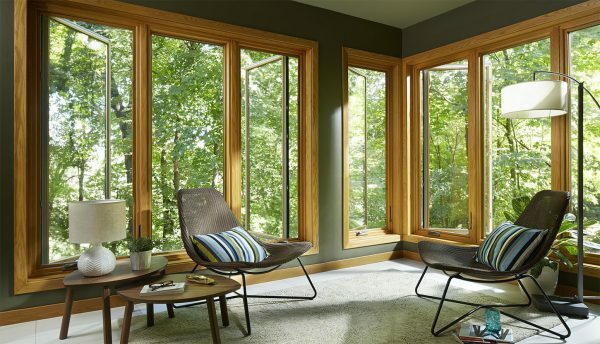 Renewal by Andersen® is a subset of Andersen Windows, a company that has been producing windows for more than a century. They have been the #1 choice for windows in the United States for longer than any other window company has been in business. With Andersen’s wealth of knowledge and experience to draw from, Renewal by Andersen® of Kansas City leads the charge in replacement window and door technology and innovation. As a national manufacturer, Renewal by Andersen® counts on regional contractors to bring their outstanding line of windows and doors to cities and towns across the United States. We here at Renewal by Andersen® of Kansas City are your regional representative for the national Renewal® brand. This means that we are factory trained and fully certified in the installation and design of their full line of innovative products. The latest innovation Renewal® has made is the introduction of Fibrex™. Fibrex™ is exclusive to Renewal®, a material that combines the strength and beauty of wood with the energy efficiency and durability of vinyl. When you choose to install Fibrex™ windows or doors, you’ll choose a product that outlasts and outperforms any other material on the market. To learn more about Fibrex™, visit our Fibrex™ page here. Our fully certified status also means that we are able to back each installation we perform with Renewal’s® industry-leading product warranties. To learn more about these warranties, visit our Warranties page here. Simply put, when you need to replace your windows or patio doors, Renewal by Andersen® is the best choice. They are the best choice not only in Kansas City, but throughout the United States. For a home improvement project you can trust, you need a contractor you can trust. In Kansas City, that contractor is Renewal by Andersen® of Kansas City. Call us today at (913) 385-1300 for a FREE in-home consultation with our home improvement experts.